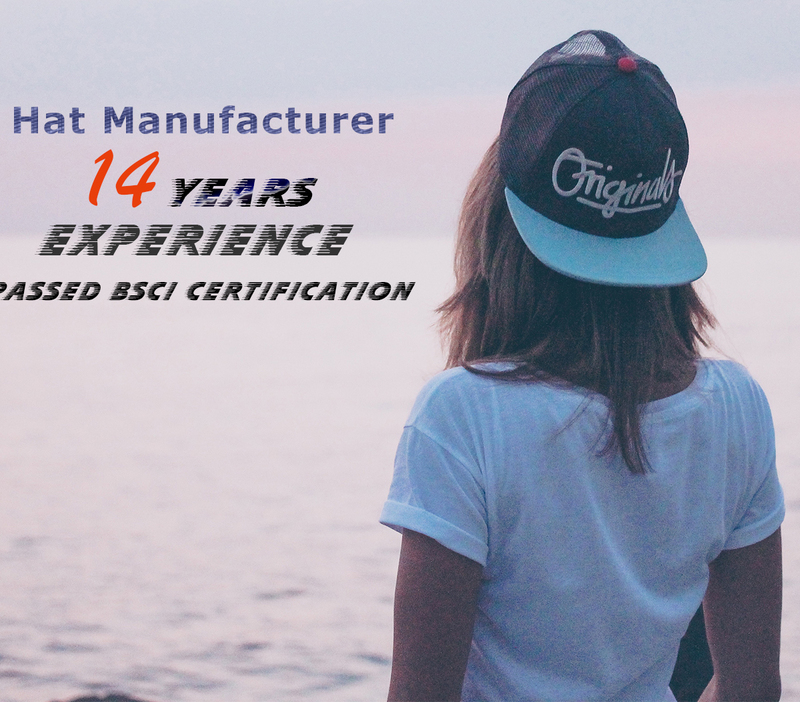 Shenzhen Chuangyixing Hatter Co., Ltd.
Shenzhen Chuangyixing Hatter Co., Ltd. is a professional company which is engaged in the design, manufacturing and sales of hats, caps and clothes. We have our own export and import authentication and our own brand. Our headquarters is located in Shenzhen city, with about 130 staff members. We have brought in the latest embroidery machine and ironing equipment, and comprehensive systems of quality assurance processes to strengthen our competition. All production lines have adequate quality control. Our production line capacity can reach 2,700,000pcs per year. So far, our products have been exported to more than 20 countries and own a good reputation from our oversea and domestic customers. Through many years' production management, we have accumulated rich experience. 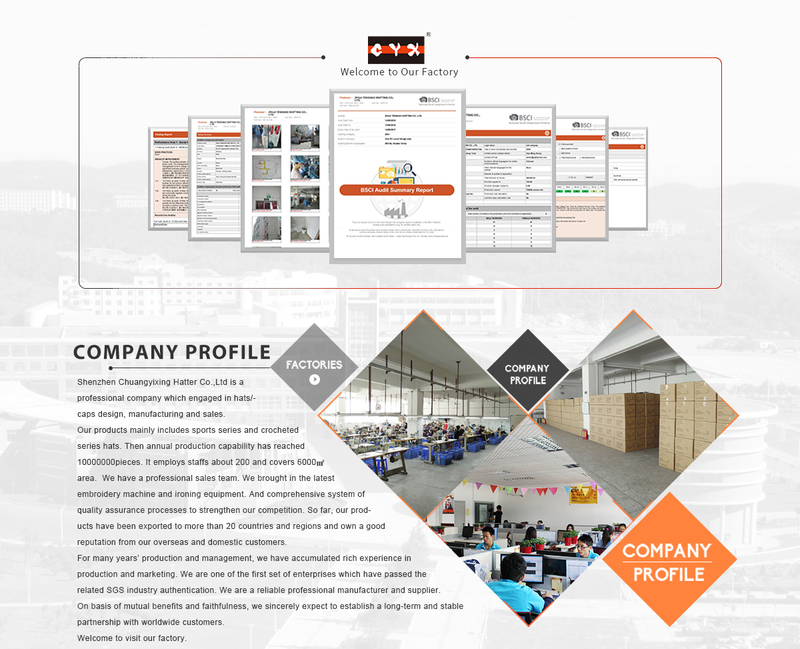 Professional production and service team can provide customers with excellent products. On the basis of mutual benefits, we sincerely expect to establish long-term and stable business relationships with worldwide customers. Welcome your consultancy and comments! Thanks for your attention!